Many thanks to Wiki for including Polar Bears in their amazing fantasy novels for young readers article. There are some amazing sounding books in the video and you can check it out here. This is just a quick note to say that I’m going to be at the Bath Literary Festival with fellow Red Eye author, Sharon Gosling, on Saturday 30th September. We’ll be talking all things horror on our panel from 6.30-7.30pm. You can buy tickets and check out the full details here. “Little Tiger Group’s imprint Stripes Publishing has acquired a prequel to the Zoella Book Club title Frozen Charlotte and two titles in a new series by author Alex Bell. 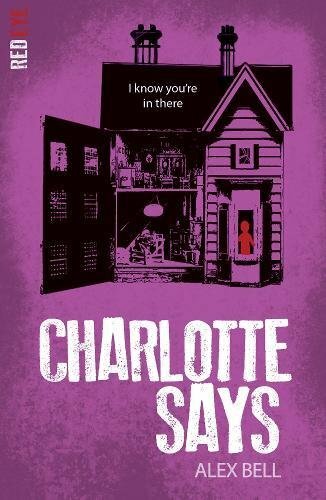 Commissioning editor Katie Jennings bought world rights to Charlotte Says and world English language rights, with a two year licence on US rights, for the new series from agent Madeline Milburn at Madeline Milburn Literary, TV and Film Agency. Based on the Isle of Skye, a hundred years before the events of Frozen Charlotte, Charlotte Says “reveals the origins of the demonic Frozen Charlotte dolls which torment the inhabitants of Dunvegan School for Girls”. Bell is based in the New Forest and writes young adult horror books and middle grade fantasy books. Whilst at university studying to become a lawyer, she wrote a grand total of six complete novels. Her first novel, The Ninth Circle, was published by Gollancz in 2008. Frozen Charlotte in the Zoella Book Club! 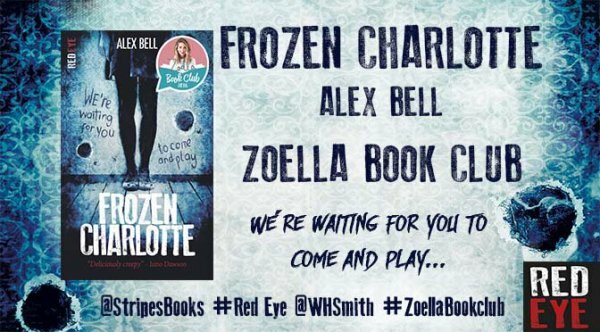 I’m so thrilled to finally be able to share that my YA horror book, Frozen Charlotte, has been selected for the Autumn round of Zoella’s Book Club with WHSmiths! And with a shiny new book club version of the front cover, which I absolutely LOVE. The other seven books on the list all look amazing and I can’t wait to get stuck in reading some new YA this winter. As before, the eight books are available in WHSmith stores, or on their website, and there’ll be tons of interviews, deleted scenes and other bonus material coming up on the WHSmith blog too, so be sure to keep an eye out!